Via the wonderfully modern medium of the internet Ben stumbled on The Art of Distillation published in 1651 by the English Physician John French the original of which can be seen in the British Library and which documented apothercaries copper distilled non-alcoholic remedies. Thinking he may be on to something Ben bought himself a small copper still and set to work in his kitchen distilling we suspect everything he could get his hands on. 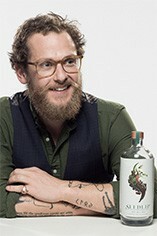 After a very long period of trial and error Ben came up with a blend of six botanicals – individually distilled – then blended together to produce the world’s first distilled, non-alcoholic spirit. 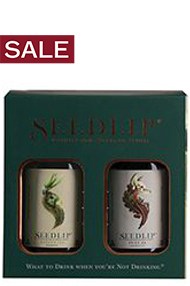 Launched in 2015 Seedlip (named after the baskets used to sow seeds buy hand) has become something of a sensation. A grown up, non-alcoholic, sugar free, sweetener free spirits with no artificial colours or flavours which is just delicious with tonic over ice with a twist of pink grapefruit or as a base for a myriad of long or short non-alcoholic cocktails. We don’t normally advocate alcohol free but we really feel Ben has produced something absolutely delicious and we just couldn’t resist the opportunity of offering it to you. With undoubted clove and all spice notes on the nose, you are also assailed by citrus tones and spice on the palate. Completely dry, sugar free, sweetener free and with no artificial colour or flavouring, it is ideal served over ice with a premium tonic and a twist of red grapefruit. 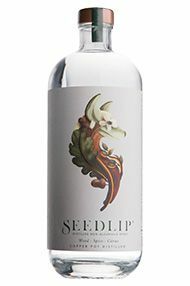 Seedlip is the world’s first distilled non-alcoholic spirit and provides a brilliantly grown up answer to the question of what to drink when you are not drinking alcohol. The brain child of Ben Branson, it is a blend of six individually distilled botanicals (Guatemalan green cardamom, Jamaican all spice berries, Argentinean lemon, Turkish grapefruit, American oak and Bahamian Cascarilla) crafted together to produce a sophisticated alternative to alcohol. 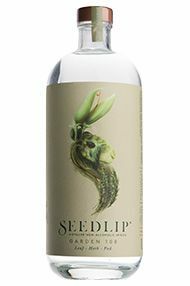 Seedlip is the world’s first distilled non-alcoholic spirit and provides a brilliantly grown up answer to the question ‘what to drink when you are not drinking alcohol?’. 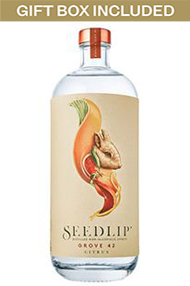 The brain child of Ben Branson Seedlip Garden 108 is elegant and floral with hints of sweet pea on the nose which follows through with flavours of cucumber and an attractive meadow grass on the palate. Completely dry, sugar free, sweetener free and with no artificial colour or flavouring it is ideal served over ice with bitter lemon and a cracked fresh pea pod.